Competition and technology have made marketing to the government more complex. With growing competition for government contracts, companies are looking for ways to improve their B2G marketing by communicating better with the government and potential teaming partners, as well as creating more efficient processes, and tapping into new and emerging technologies. The goal is to gain a tactical advantage in an increasingly crowded marketplace, and find ways to differentiate your business from others. Over the last 15 years, improvements in technology have raised the bar for small and mid-sized businesses looking to compete for contract opportunities. Never the less, many companies still fail to execute on the most basic marketing and communication tactics. There are many businesses that still have poor website designs, inaccurate capabilities statements, and vague product or service offerings. This continues despite an increase in the number of government officials, contracting officers, govcon consultants and others sounding the alarm on what small to mid-sized businesses need to do at a basic level to be successful. Meanwhile, for those B2G businesses that have listened to what the government customer wants and how they want it, technology and competition have helped grow the number of marketing tactics necessary to get their business in front of buyers and potential teaming partners. 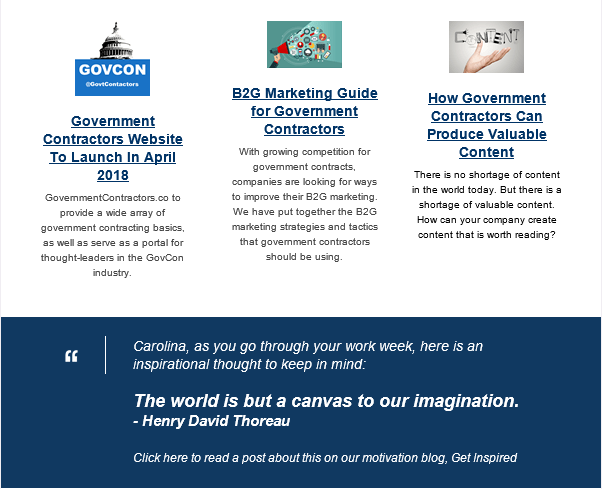 In an effort to connect with both types of audiences, we have put together the B2G marketing strategies and tactics that government contractors should be using. Click on a section title below to jump to that section. A customer relationship management tool and marketing automation software should make up the foundation of your business operations. Marketing automation is a form of CRM or customer relationship management. It is a software tool (typically cloud-based) that allows marketers to better manage their engagement with prospects and customers on communication channels such as: websites, e-mail, social media, online search, and advertising. A CRM is another software tool. A CRM is sometimes integrated with a marketing automation platform (such as SharpSpring or HubSpot), but not always. Salesforce is a powerful CRM that has a separate marketing automation tool. In many cases, marketing automation platforms have built-in integrations for popular solutions, such as Salesforce, making it easier to adopt this type of technology into your business. One of the core benefits of marketing automation connected to a CRM is that ability to automate communication with prospects and customers. This increases efficiency and more accurate messaging. A B2G company can engage people instantly with relevant information or information that connects to a user's behavior. Personalized content and messaging, and more. For example, by automating responses when people fill out forms, download documents, view videos, or take other action, you free-up people from having to perform those tasks. When a government buyer or potential teaming partner indicates they are interested in a particular program, a marketing automation and CRM collects that information and notifies specific people. Your colleagues can then take action. Meanwhile, the automation system can send out a pre-programmed set of communications (typically linking to or including resources) that keep a prospective customer engaged. The reason why we list marketing automation and CRM as a critical part of any govcon marketing foundation is because without a way to collect, manage, view, analyze, and interact with your prospects and customers, you are flying blind. You need to know "if" and "when" people are downloading assets, who is requesting information, which member of your sales team is speaking with your prospects and what they are saying, as well as which opportunities are near deadlines and which ones need more development. Before the marketing process begins, you need to create a mission statement around who you are, and then build customer / buyer personas of your government customer. As a small to mid-sized government contractor, it is essential that you recognize from the start that you cannot be "all things for all agencies." 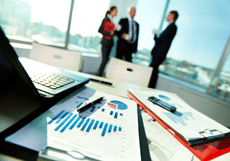 Even the largest companies in the industry need strategic partners to deliver solutions. However, there are still companies that approach potential government customers with the mindset of "tell us your problem, and whatever it is - we will solve it." That is not a statement that will persuade a government buyer. For example, if you tell senior agency official at the Department of Veteran Affairs that you can handle all their cloud storage, IT security, or telecommunications services, and you run a 15 person company that has been in business for 3 years - that government official will likely be certain of one thing: that you are NOT a credible business partner for the government. One government contractor we have worked with had some excellent past experience, but insisted on chasing as many contracts as possible, and turning the company into whatever opportunity they were after. One week the company was translation provider; whereas the next week - they wanted to manage parking garages in foreign countries, or provide laundry services. The changes were rapid, and meant that it was impossible to keep the identity of the company straight - internally and externally. This is why every business needs to figure out what its mission is, and then create a series of customer / buyer personas to understand who their target audience is. The process of winning a government contract can often take a long time. The only way to be successful is to structure your organization to deliver very specific solutions, become an expert in a small number of important areas, and know the people you need to communicate with - and what information they need. B2G companies will often hear: focus on solving the agency challenge. This is important to remember as it connects back to your corporate mission, your capabilities, and profiles of your potential buyer(s). It follows through to identifying the right opportunities. Once you have a more targeted mission, and audience profile, you can then start to identify the right business opportunities for your company. By and large, people in government are not looking for product or service catalogs. They are certainly not interested in hearing a pitch about your IT solution or your service. However, they are interested in scenarios and situations that relate to their mission. They are interested in learning more about the challenges, opportunities, and trends they are seeing, and how it impacts their ability to meet constituent needs. When the information about challenges, opportunities, and trends have been identified, government agencies then look for those solutions that fit within the right context. The key first step is to listen what government decision-makers are saying, and then respond by providing education and information that is both substantive and easy-to-understand . We will discuss ways to do that in the marketing section. However, before you initiate any marketing, you want to start to identify potential opportunities. How do you start to look for the right contracting opportunities for your business? Where do you look? One step is to look at sections of the federal, state, or local budget (depending on your target audience) that provide funding opportunities for the kinds of products and services that you provide. For example, if you provide defibrillators - you will want to look not only at hospital construction, but federal buildings where having a defibrillator is required. In the budget, see if there is funding for relevant projects. Then look at contract awards and new contract opportunities to see what is available, or what may be available in the next year or few years. Another route is to use an online database and/or subscription service to find opportunities based on your business type, NAICS code, or other government classification. If you are interested in state government contracts, you need to look for the state procurement portal. For example, in Virginia it is called EVA (https://eva.virginia.gov/). Other states have different websites. It is important to keep in mind, that state portals often serve as gateways for local government (counties, cities, and towns) to publish their contracting opportunities as well. However, in some cases, not all contracting opportunities get posted - or get posted correctly. 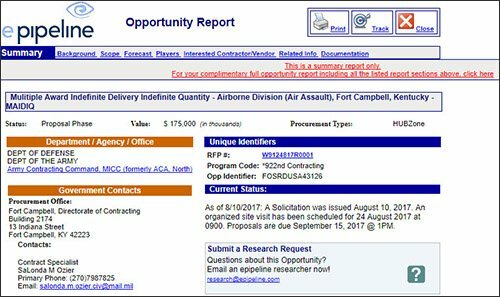 Loudoun County, Virginia's procurement office said in a recent information session that sometimes opportunities have appeared in EVA with incorrect information. Therefore, if you are more interested in local government contracting opportunities, you will need either help with a subscription service, or to target those local procurement websites to ensure you have accurate information. Another thought to keep in mind: often - bids will get sent out for projects at a local level, but not necessarily be published. It may depend on the dollar value of the contract, and type of contract. In some cases, all a local government may need is to receive enough competitive bids. This means that the government could go to the same well of companies it is familiar with over and over again. A situation like this makes the marketing strategies outlined even more important. Once you have accessed a database and started to find the opportunities that are the best fit for your company, you will need to identify the government decision-makers and potential influencers, and build a complete tree of who is involved in the contract award process. Depending on the type of contract, agency, and level of government, there could be very strict rules about who you can / need to communicate with, and what types of communication are acceptable. This is especially true at the local government level. In some cases, attending a pre-contract award meeting is essential to being eligible for bidding on the contract. Local governments often will tell you that failure to attend a specific meeting will mean that any proposal - no matter how perfect - will be rejected. At the federal level, finding the government decision-makers can be difficult. This where a subscription service can be helpful, because a lot of information is captured by the solution provider. If you do not have access to that kind of resource, you will have to research the agency's history, review budgets, and examine websites. Another step you will want to take is to review past contract awards, and who they went to. Finding the opportunities is the easy part. Finding the opportunities not primed for an existing provider may prove to be more challenging. It is not important to have a website you like. You need a website that is optimized around your customer's needs and how they search for information online. Search engine optimization is a critical component to successful B2G marketing. Over 90% of Americans will use a search engine each week. When people search online, they look for answers to the most basic day-to-day questions, conduct detailed product research, shop, and perform professional inquiries. Without a doubt, search engines have become our answer engines. If anyone has told you that search engine optimization (SEO) is dead - they are very wrong. When we get started on a B2G marketing campaign, we immediately conduct a website audit or a SEO site audit. This is an analysis of all the visible pages and files in your website. It is important, because most companies only see a small part of their website on a daily or weekly basis. When you do look at your own website, you are not going to test every link, and you will likely not have time to check every file, every image, and the code base to determine if everything is functioning well. This is sample site audit summary / overview shows this website has a low health score, and a large number of errors that need to be fixed. However, a SEO Site Audit can quickly determine what is missing, where there are broken links (internal and external), what coding issues need to be addressed, and countless other problems that can not only create a bad user experience for all those coming to your website (imagine a government decision-maker looking for information and finding a broken link), but also the technical problems that prevent search engines from properly indexing your website. The second step is to look very carefully at keywords currently being used by govcon business - both on their website and marketing materials. At Social Web Tactics, we also examine competitors. And last, but often most important, we look at what government decision-makers are looking for. After all, our goal is to make sure that all product and service messaging reflects what the customer wants, and just as important, how they are looking for that information. 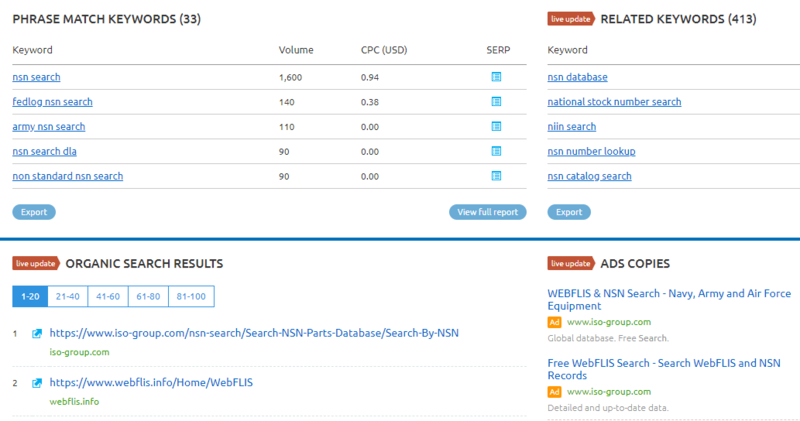 Take the search term "nsn search" as an example. NSN (National Stock Number or NATO Stock Number) is a convention used by U.S. and various allied nation military forces for parts. It is a 13-digit numeric code that helps standardize material items of supply. Everything from bolts to tank parts are cataloged using these numbers. Therefore, if your business provides a defense logistics system, or a database of available parts that you sell to different military forces, you are going to want to know if this search term is popular, where you rank, where your competitors rank, and other information. As you can see from the chart above, one of our clients, ISO Group, has their database as well as ad content displaying for this search term. Their company ranks in the number one position in Google search engine results. We also can get an approximate idea of how many searches they can expect on a monthly basis, and estimate the cost of their online advertising campaigns. This kind of data can be obtained on hundreds of keywords important to your business, especially those that you want to connect back to products and services that your company provides. Another example, is illustrated in the chart below. By using our SEO tools, we can determine the pages that are performing well for high searched terms, and review how those pages are constructed, and what content appears on them. Knowing what works and what does not work in terms of content can help us to edit what exists on a website we are managing. This kind of website optimization is essential, because it has significant impacts to your business. Not only can SEO website audits and competitor analysis reveal problems with content, they also can identify technical issues with a website that are preventing higher rankings, and/or providing a poor user experience. These are some of the reasons why you would address website optimization before you start to create new content, or revise existing content. Lastly, here is a thought to take into account as you look to optimize your website: competitors to you in search engines are not necessarily going to be direct business competitors. What we mean by this is that you need to look at all websites that compete with you for eyeballs in search engine results. You may have a situation where your market competitors are weak in search results, but an association, media company, or other type of organization ranks ahead of you with a highly informative page. This could be the result of stronger content, more links to trusted sources, or a combination of those and other factors. B2G marketing is not about selling your government customer; it is about educating and helping them to resolve their key challenges. Content marketing includes all your marketing assets - digital and print. Reaching and engaging government decision-makers requires each government contractor to elevate their game. As we noted above, increased competition and technology means that the bare minimum of 5 years ago will not cut it in today's market. It is important to remember that as a government contractor (federal, state, or local), you are trying to sell into the most sophisticated, risk adverse, and complex organizations in the world, with buyers who are very focused on following detailed (and sometimes unique) sets of rules and regulations. Here are some of the most important B2G marketing strategies and tactics you need to reach the largest buyers of goods and services in the world: our governments. Before we explain what needs to happen with your B2G content marketing, it is important we define content marketing. In short, content marketing is marketing. When you think about it, marketing is about creating interest or demand in a product or service. It is the act of promoting something. How is that promotion done if not with some form of content? Video, photographs, written words, displays, programs, sounds - are all types of content. Our view is that content is everything used to make marketing happen. Today, people use the phrase "content marketing" to describe a strategy of distributing valuable, contextually relevant, and consistent content to attract an audience. In our opinion, if your marketing is not of value, is not relevant to your product or service, and is not consistent - is that even really marketing? Instead of "content marketing" being the operative term, we prefer to think of what you need to be focused on for your B2G marketing efforts as "storytelling." Storytelling is a more personal experience than receiving a promotional message. It implies there is a connection, and mutual interest. One theme we will repeat in this guide is that the GovCon industry at all levels is driven by relationships. While traditional methods of marketing may work in other industries, when you seek to communicate with a government decision-maker, potential teaming partner, or others in the GovCon industry, you need to focus on putting together a story that your audience relates to, can engage with, and follow through to the end. Stories need a compelling introduction to create a hook - or to grab the audience's attention. In the case of government professionals, a compelling story begins with a challenge they are experiencing (or will experience in the near future) or an opportunity they want to seize to benefit their constituents. It does not begin with your company story, or how amazing your product / services are. Another facet of a compelling story is that it remains interesting to the very end. What does that mean? It means, don't have the only enticing element of your content be the headline. A form of "click bait" content will not win you any friends in the government. In fact, it will likely raise warning flags and damage your reputation. The government and prime contractors want to work with small and mid-sized businesses, but they are very adverse to risk - and a company that lacks substance is not going to be a good strategic partner. Yes, it will take you longer to put together data from research, create eBooks, infographics, Webinars, and other assets. But business to government marketing, and government contracting, is not a sprint. It is a long process that places an emphasis on precision and detail. Make the story about your audiences, the challenges they are experiencing and the opportunities they want to capture. Stay true to your identity. Whether you offer cleaning services or cloud services, do not pretend to be another company or another type of personality. Embrace that you love to clean, or that you love to... cloud. Carefully blend facts with emotions. In B2G marketing, you need to have both to create a compelling story for a government decision-maker. Gear your stories and your marketing to reaching people. Deliver a personalized experience to your audience based on their roles and interests. Infographics are great forms of visual storytelling. Visualizing an experience your audience has, and mixing in compelling data points and recommendations, is a good way to show you understand your audience. Infographic trends are constantly on the move. Do you use something minimalistic? Rely more on real photography? At the end of the day, your audience will dictate the design. A solution for the Department of the Interior could look very different than one for the U.S. Marines. Videos are another excellent form of visual storytelling. Video consumption is on the rise. And while longer, more complex video stories can be expensive to put together, a strong production goes a long way to showcasing and validating your capabilities. Another alternative to longer videos that you post on YouTube or Vimeo can be shorter, less produced videos for platforms like Instagram or your e-mail campaigns. A one-minute quick-thought segment can provide a lot of very good information in a short burst, and ultimately take someone to the next step in a story or a call-to-action. Hearing from customers is very important for your government audience. Government decision-makers are looking for past experience and success, because they want to minimize risk. Connecting them to comprehensive customer stories - which articulate similar challenges or opportunities - gives a government official a way to connect your brand to solving their needs. One mistake small and mid-sized businesses make with testimonials is that they do not secure them at the contract stage. Weave a positive testimonial into your contract. Another mistake is sharing one or two-sentence testimonials on the homepage of a website - thinking that is compelling. Your customer testimonials need to be an experience worth viewing, and show people what it is like to work with you. There are some different types of website landing pages. One is done directly on your website, while another is built using a marketing automation platform. In both cases, the landing page should exist to tap into something specific - an element of a story, problem, or opportunity. And it should have a compelling call-to-action, or reason for a visitor to do something like share who they are. The most effective landing pages contain detailed resources and should - whenever possible - contain interactive content. B2G companies need to get away from standard, website brochures. If you offer IT services, chances are that your IT services are the same as 1,000 other websites a government decision-maker will come across. How you tell the story of IT - how that story relates to your customer - will determine whether or not you have a successful landing page. Storytelling is an important part of your B2G marketing. You also need to these marketing activities / actions as well. Email marketing remains the most affordable and effective communication tool to B2B marketers. In fact, it is consistently rated as the most essential marketing tactic for B2G and B2B marketers. With new technologies, e-mail marketing has become more sophisticated and powerful. But its effectiveness is limited when businesses don't adhere to best practices. Plan it out. You need to clearly outline the goals, the content / message, and the call-to-action. Carefully select the target audience for your e-mail. It should be based on user preferences and the audience's relevance to the content you have in the e-mail. Design your email to be responsive - in other words - something that can be read on a desktop, tablet, or mobile device. The easier the reading, the better. 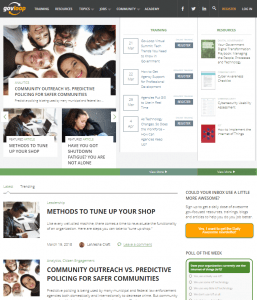 Create a few subject line options that you use in a A/B test. A compelling and interesting email subject can make the difference between a 18% open rate or a 4% open rate. Include a snippet of text at the start that will allow people to scan the context before opening. Provide a visible and easy-to-access "unsubscribe" feature that is repeated throughout the email. Failure to include "unsubscribe" links or hiding them in small font will only encourage your audience to flag you as Spam. Spam reporting can reduce your ability to send e-mail. Bottom line, if someone does not want to receive email from you - why keep sending to them? Personalize your e-mail content using the data in your CRM. This can be done by connecting the CRM to a marketing automation system. Change your standard newsletter into more of a magazine or news source that covers your customers. There are a few circumstances when audiences will want to hear about what you are doing. But most of the time, they are interested in stories that relate specifically to them or things are doing. Attending and creating industry events are critical for government contractors. The reason is simple: government contracting is about relationships. Not only do these relationships need to be cultivated between the government decision-maker and a company looking to bid on a contract, they need to be established with key industry players, members of the media, industry influencers, and prime contractors. This is especially true if you are a small to mid-sized business. We mentioned above how local governments often do not publish opportunities, provided they receive a certain number of bids. In those cases, local government officials have their list of providers that they know, and trust. The same is true across the government contracting landscape. Government officials and prime contractors have relationships, and when opportunities arise - they look to tap into their professional network rather than conduct long and extensive searches. It saves time, and since the relationships are established, the level of trust that exists reduces any risk. Therefore, face-to-face networking is one of the cornerstones of any marketing plan. Within the govcon space this includes events organized by associations or industry media, policy or contract briefings, industry conferences, and more. If you see an event that offers a "speed dating" kind of format, mentorship opportunities, or anything that connects to what your business is looking to do for the government, it is a good idea to attend. While Webinars are not face-to-face, they are a heavily used resource by government decision-makers and prime contractors. You have several options when creating a Webinar program, including partnering with another company or two, producing a solo event, or paying a media company to host the event and serve as a moderator. As a team, we have collectively conducted hundreds of Webinars in a variety of industries, but especially in the GovCon space. One of the most consistent challenges businesses have is with preparation, audience acquisition, and topic selection. Several years ago, one government contractor wanted to conduct a Webinar into the NSA. Since e-mailing into the NSA is something of a challenge, we learned that there was the ability to place an event advertisement around napkin dispensers in the cafeteria. This gave us an excellent way to promote a Webinar, and receive registrations. Another client wanted to reach potential business partners. By leveraging an industry media company to serve as moderator and send to their list, we were able to successfully promote the event. Lastly, when a large, multi-national IT company wanted to promote a continuity of operations (COOP) solution, there was easy way to reach government decision-makers who had COOP or disaster recovery as part of their job. Finding the right audience took a great deal of research, and a combination of a Webinar followed by a mini-conference session. The ending result of our hard work was over 500 Webinar registrations, and a highly successful follow-up event in Washington, DC. Overall, Webinars are consistently rated by government contractors as one of the best ways to reach government decision-makers and potential teaming partners. Education can happen in many ways (Webinars, conference sessions, white papers, etc), but one way government contractors do not widely use education is through online courses and training sessions. This is a tactic that - while somewhat intensive - is highly recommended for all government contractors. Many government decision-makers, like other professionals, are looking for ways to enhance their skills. When courses become available that are job-related, many agencies and organizations will have some budget set aside for their employees to enroll. Of course, when the course is free - it is a win-win for both the employee and the provider. A course or training session becomes another touch point where you can interact with a potential buyer. At the very least, you begin to build credibility in thought-leadership, and as a good partner. Through our strategic partnership with Catoctin Education, we can offer government contractors the ability to create courses using an LMS (learning management system) that they can promote. By working with us and Catoctin, the process of creating an online course or training session becomes much more simple, and something you can add to your marketing portfolio. Though not a new tactic, account-based marketing has gained more and more public attention over the last couple of years in the GovCon space. 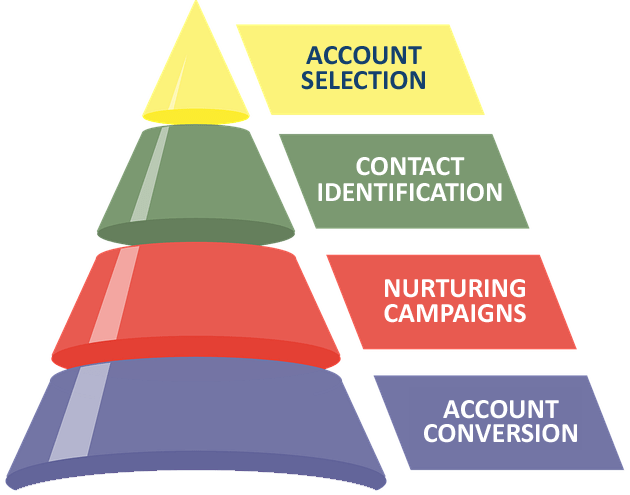 While most companies focus marketing activities on industries, or by addressing needs solves by specific products or services, account-based marketing can make sense because it focuses all aspects of marketing and sales on an agency - or - account, treating that as its own market. For example, while a government contractor may provide cyber-security solutions that can be deployed across any agency, an account-based approach will focus marketing assets around one agency. This may have strategic value if you are bidding or planning to bid on contracting opportunities for that agency. To that end, you would focus less on a general landing page for all your cyber solutions, and instead create a tailored landing page and experience around the target account. Make no mistake, this is more than a marketing effort - it is total collaboration from everyone within your organization. The account (or government agency you are targeting) would have dedicated marketing, sales, and customer relationship people, as well as a key executive, assigned to provide specialized services. The focus would be to bring people who are both agency and subject matter experts to the forefront, and connect them with agency decision-makers. Account-based marketing is about a higher-level of support to the agency, including the ability to address an agency's key operational challenges and goals. To that end, account-based marketing tends to be an enterprise-level tactic. But it does not need to be exclusive to large organizations. The danger of account-based marketing for small to mid-sized government contractors is that those companies tend to have fewer resources. This may mean that an account-based approach prevents those companies from having a diversified sales pipeline. Hence, the approach of putting all your eggs into basket carries significant risk, but the odds of winning a large-scale government contract are small. We live in a world that thrives on personalization. Our desire for personalized content stems from our move away from one-size-for-many models that grew out of the industrial revolution. The industrial era was all about standardization, and mass production. But with advances in technology, we can now consume more of what we want, how we want it, where we want it, and when we want it. As a government contractor, taking data about your target audience, and using it to make your content more personal is no longer a sophisticated exercise that is beyond technological reach or your budget. In fact, it is becoming a necessity if you want to make connections and build relationships. What kinds of data are we talking about? And how would B2G personalization work? What kinds of information are they interested in? What pages on your website do they visit? What inquiries do they make? What projects or potential projects does that person's office oversee? In actuality, the kinds of information you can collect or add to a person's record, and to their government agency account, is only limited by your imagination and time. 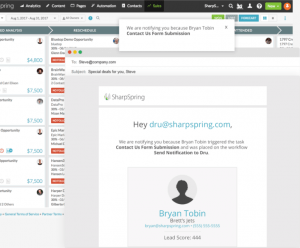 SharpSpring allows us to build personas that we can apply to people. A persona can be created for many things, including where a person falls in the decision-making process. If you use account-based marketing, for example, a high-level government decision-maker could receive a far different type of e-mail or direct mail piece than a person who is more technical and "in the weeds" when it comes to buying, for example, new technology. Personalization also can play a role in data you collect. Let's say you were trying to reach all those in government responsible for managing their agency's or department's continuity of operations plan. An outbound email can be personalized to read something like this, "John, Did you realize that [The Department of Energy] has over [12,000] federal employees and over [90,000] contractors, with over [40%] of those workers based in Washington, DC? In the event of a disaster, you need..."
This approach makes your communications with your points of contact far more relevant and engaging. What's more, it is not just limited to e-mails. You can and should personalize other types of content, and package based on key details of your audience. In addition to being more engaging, a personal approach demonstrates an attention to detail and commitment to your potential government customer that they will respect. It is a good first step to building trust, and a relationship. Government contractors often report mixed results using social media. And it is not hard to understand why. Success in social media requires an investment in time and coordination with different teams within your company. However, in many cases, companies turn over their social media management to young new hires who do not understanding the GovCon industry, and often play by a different set of rules and expectations from marketers, sales managers, and executives of older generations. With a limited budget, and lack of understanding on which networks are the most effective to reach their target audience, social media planning is done poorly, and management and engagement become side activities with no connection to the core business goals, and no clear insight into whether or not there is any success. Your business is about building relationships with prime contractors and government decision-makers. Therefore, you need to focus your social media activities in those networks where either one or both of those audiences is active. Recognize that social media is a communication platform. While social media has great engagement potential, do not lose sight of the fact that you use e-mail, television, and social networks like LinkedIn to communicate. In those communications, you typically provide some action for your audience to take. To communicate effectively, you need to plan what types of content you want to share with your audience. This is more of a marketing strategy than a social media strategy. For social media, you want to find influencers and use profiles to find those people who are going to have an interest in your stories / content. Networks like LinkedIn have great search functionality, and networks like LinkedIn, Facebook, and Instagram have ways to target advertisements or native content to very specific groups. Train everyone who will have contact with your corporate messaging on social media (either directly or indirectly through their own social media activities) on what is and what is not appropriate. People tend to lose their "filter" or ability to self-censor when they get on social media. Training people on how to engage is a critical step that can avoid alienating your audience, or causing damage to your brand and business. Make sure you have a way to measure your activity, and evaluate performance. The most important performance metrics for government contractors are: engagement, audience growth, and lead conversion. You want to know if people find your content interesting enough to read and share. You want to know that people are signing up to stay informed about what you have to say. And lastly, you want to know if you getting opportunities to make money. Just because we left off Facebook and Twitter, does not mean you abandon them or do not include them in your marketing plans. You can use Twitter to share lots of short pieces of information quickly, and then consolidate that into a blog recap. You can use Facebook Live, for example, to create real-time video from thought leaders. One of our favorite uses for Facebook is one-on-one discussion sessions in closed Facebook groups. Of course, this is similar in theory to a Webinar, but depending on your target audience it could be a fun and effective communication tool. However, when it comes to reaching government decision-makers and prime contractors with business-related content, the aforementioned networks should be your first stop. As an example, there are 484 groups in LinkedIn (3/20/2018) for Business Continuity and Disaster Recovery Professionals. This includes government officials at FEMA and other agencies. Globally, there are over 150,000 contacts with "business continuity" or "COG" ("continuity of government") in their LinkedIn profile. These contacts work in federal, state, and local governments, as well as for businesses that provide disaster recovery and continuity of operations technologies or services. This is significant, because is shows the level of data and information that is available to you in LinkedIn. If you had a specific solution for this audience, you could use the hashtags that people in the industry use, build an audience profile using LinkedIn profiles, and launch an engagement campaign through In Mail or another process. GovLoop’s mission is to connect government officials with one another to improve government. By creating a knowledge network (similar to what we are aiming with GovernmentContractors.co), GovLoop wants to inspire and facilitate better government actions. 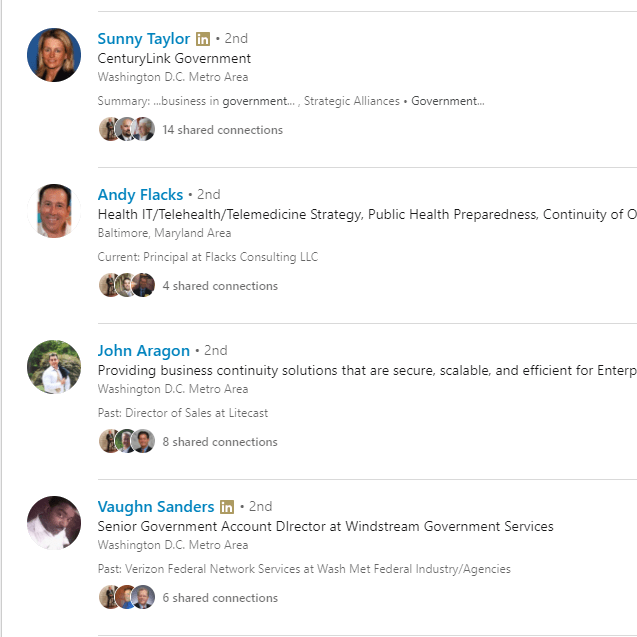 GovLoop has a community of more than 270,000 government leaders. If you are interested in learning about your prospective government customer, and the challenges and opportunities government professionals are looking at, you could not find a better online social network to participate in than GovLoop. YouTube and Vimeo are video platforms. We have used both to post and share content, and both are very well indexed by Google in search - provided that you tag your video content properly in each ssytem. With video consumption on the rise, both platforms give you the ability to easily create corporate channels, and upload videos from Webinars to corporate messages to whiteboard discussions and more. Instagram, which is a photo and short video sharing platform, has become enormously popular. In many ways, it has a lot of the strengths we used to associate with Facebook, but with an audience that includes prime contractors, the military, and tons of government agencies. Skeptical, take a look at our updated report, "How the U.S. Military Uses Instagram," and you will see some of the most compelling and effective social media users in the world. Instagram is a great way to showcase customers, how your company works with the government and prime contractors, and other activities that you're involved in. One of the cornerstones of building brand identity with potential teaming partners, industry analysts, and government decision-makers is successful advertising. In an age when companies are often spread very thin with their marketing budgets, B2G marketers are often asked to do more with less - and that includes advertising. However, this is often easier said than done, as well as a significant tactical mistake that actually hinders growth, and does not help protect the bottom line. The first key to success advertising is clearly defining your target audience. Who are they? Where are they? What demographic information can we assign to them? Every piece of information goes into building a profile, which then can be used to identify the best ways to advertise / communicate your company's message. What if your company has some very specific products and services for the military? In that case, you may have several different groups that are potential buyers. These groups also may not all be in the U.S. Therefore, your first step is to define all of those audience segments, and break them up into separate groups - flagging the geographic location of all those involved in the decision-making process. To that end, each group should have a decision-making funnel or tree - in other words, a grouping of the people who are the high-level decision-makers, those who will directly implement a solution, anyone who may have a medium level of interest, and the primary point of contact(s) / decision-maker(s) who make the final recommendation. Based upon your breakdown, let's say one of the groups you are trying to reach is a very specific logistics squad in the U.S. military, centralized at one base in a western state. We can certainly look at targeted Facebook, Instagram, and LinkedIn advertising to reach people who meet specific profiles and location. Social media platforms are certainly growing in popularity, and advertising to those audiences can be very successful. But often times, direct and more tangible advertising is more effective. Hence, we cannot rule out traditional and other forms of digital marketing. For example, knowing that you have a specific region you are trying to reach - local television and radio can be a highly effective communication tool. In fact, more business website interactions come from TV advertising than any other media source. And yet, many companies are ignoring television for social media despite lower returns on investment. What's more, depending on the size of the local market, the production and cost of such an ad buy could be more economical than you realize. The same could be true about radio. Another route is what is called "DOOH" or digital out-of-home advertising. When you stop to get gas and hear news stories and ads at the pump, that is considered digital out-of-home content. The same is true of kiosks in malls or airports. DOOH can be highly effective at reaching your audience, especially if you focus the geographic range of your advertisement. Airport advertising can be another very effective way at elevating your brand - especially if your audience is traveling frequently in and out of one particular airport. In a previous project, we have conduct billboard buys in local and regional airports to reach travelers in specific cities. One form of advertising that most businesses do not even know about is sponsoring events for the military through Welfare and Morale offices. Military installations house families, and have events of all kinds that driven by teams whose responsibility is to maintain good health, welfare, and morale of the soldiers and their families. Many of these programs are actively looking for sponsors to help fund activities, and often times, they do not reach their goals because so few businesses know about them. If your company - as illustrated in the example above - wants to reach key military decision-makers, sponsoring these kinds of activities and getting involved in supporting our troops (apart from being a good service to your country) is a very effective form of advertising. Other traditional advertising buys include highway billboards, train / subway / mass transit stations, as well as print publications. Above we mentioned running a Webinar program. An option is to sponsor or pay a media company to host such an event. If the media company reaches your target audience, and you have a compelling topic to present, the value in leads generated and closed business would undoubtedly pay for itself in a short amount of time. Lastly, sponsored content or "native advertising" is another direction companies have gone in over the years that has produced very strong results. Though there has been some controversy about "native advertising," the controversy is most often at the publication level. Native ads look like other forms of content in a publication. If you decide to share thought-leadership through a paid advertisement / native ad campaign, you will want to make sure that the publication's audience is a good fit, and that your publishing partner identifies your ad in such a way that is both transparent and an effective lead source. Social media, mobile, and virtual reality are more advanced technologies and concepts for B2G marketers, but represent effective ways to enhance your company's image, and share important information with a government customer or teaming partner. If you are using mobile advertising, geo-fencing can be a cost-effective way at reaching people within a very specific location or the area surrounding a location. In the past, we've been involved in targeted ad buys in airports or subway stations, where banners and billboards had marketing messages. Geo-fencing uses the latitude and longitude of a location to create an area around those points, and then delivers advertising messaging to devices within that area. This can be done at conferences, airports or train stations, as well as areas surrounding facilities. For government contractors looking to build relationships, it could be an effective way to share a video or other form of content. Retargeting has been with us for a while, but is increasingly being used by government contractors. One area is to use social media platforms to target and retarget audiences. Another is through online advertising, such as Google AdWords, where you can create audience profiles and then retarget people based on their interactions with your ad content. Virtual reality or VR experiences are growing in popularity. If you have ever strapped on a set of VR goggles and looked up to see a giant dinosaur or the edge of a building, you know the sensation is powerful and compelling. VR presents all of kinds of opportunities - from walking government decision-makers through scenarios to in-depth explorations of products to highly interactive customer experiences. In conferences, everyone is looking to gain booth traffic. Why not create a reservation schedule for a VR presentation? Our team woud love to discuss your B2G marketing efforts, and your business goals in more detail. Please complete the form below, and one of our executives will contact you. What are your interested in B2G marketing? Tell us anything you want before we talk.